SINGAPORE investment firm Temasek Holdings has appointed three new board members, in a move aimed at refreshing its leadership team. The new trio are prominent property tycoon Robert Ng Chee Siong, former KPMG Singapore managing partner Bobby Chin Yoke Choong and former Royal Dutch Shell chief executive Peter Voser. Mr Ng and Mr Chin will begin their term today, while Mr Voser will take up his appointment on Jan 1 next year. The new appointments will see the board enlarged from 10 to 13, said Temasek, which maintained a $215 billion portfolio as at March 31 last year. They join former Cabinet minister Lim Boon Heng, who was appointed Temasek chairman last August. Mr Lim said: "I am very pleased to welcome each of them to our board. They are all experienced business builders and corporate leaders in regional and international arenas, who will add depth and useful perspectives to our board deliberations." The trio hail from different backgrounds - property, energy and accountancy. Mr Ng is chairman of several property companies, including the Sino Group, Tsim Sha Tsui Properties and Sino Hotels. He also serves as vice-chairman of M+S, the company spearheading the Singapore real estate joint-venture initiative between Khazanah Nasional and Temasek. Mr Chin was the managing partner of KPMG Singapore from 1992 until his retirement in 2005. He is deputy chairman of NTUC Enterprise Co-operative and a board member of Singapore Labour Foundation and serves as a member of the Council of Presidential Advisers. He also sits on the boards of several listed companies, including Yeo Hiap Seng, Sembcorp Industries and SingTel. 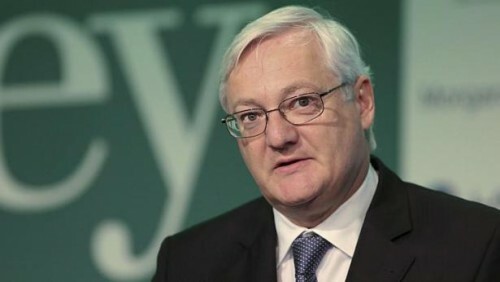 Mr Voser served as the CEO of Shell from 2009 to 2013 and is a board member of health-care firm Roche.